CAIRO — Police used tear gas and fired in the air Tuesday to disperse thousands of protesters attempting to march on the presidential palace to demand that Omar Bashir, Sudan's president of 29 years, step down, according to activists and video clips posted online. Organizers say hundreds were injured and at least eight received gunshot wounds. The clips purported to show crowds of several hundred each gathering on side roads and headed toward the palace on the bank of the Blue Nile in the heart of Khartoum. They sang patriotic songs and chanted "freedom," ''peaceful, peaceful against the thieves" and "The people want to bring down the regime." The latter was the most popular slogan of the 2010 and 2011 Arab Spring revolts. One clip showed the seemingly lifeless body of a protester in Khartoum being carried away and placed inside a car that drove away. The protester's head showed a gaping wound and the voice of another protester could be heard saying he was deliberately shot by a sniper. Earlier images circulated by activists showed police snipers on rooftops near the palace ahead of the march. 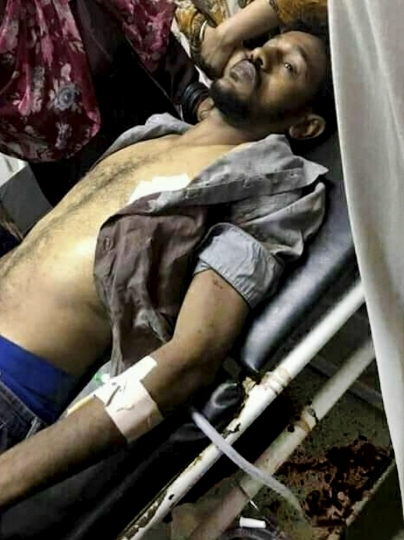 Another clip purported to show two other protesters suffering gunshot wounds to the head and the legs as they were being attended to in a clinic. There were no reliable casualty figures available. The march's organizer, an umbrella of independent professional unions, said at least eight protesters received gunshot wounds, three of whom were in serious condition and that hundreds were hurt when police hit them with batons or used tear gas to disperse them. Large numbers of security forces were deployed across much of Khartoum Tuesday in anticipation of the march, with soldiers riding in all-terrain vehicles. Police fired in the air, used tear gas and hit demonstrators with batons to disperse them, only for the crowds to assemble again and try and continue their march in pitched battles. Activists said the fighting continued after nightfall. The protest was called by the umbrella of independent professional unions and supported by the country's largest political parties, Umma and Democratic Unionist. The organizers want to submit a petition demanding that Bashir, who has ruled since he seized power in a 1989 military coup, step down. It said late Tuesday that it would continue to work for the ouster of Bashir, an objective that "we trust we are more able to collectively realize now than at any time before." Tuesday's march follows nearly a week of protests initially sparked by rising prices and shortages of food and fuel, but which later escalated into calls for Bashir to go. The Sudanese leader was in the al-Jazeera region south of Khartoum on a previously scheduled visit Tuesday. Live TV coverage showed him addressing supporters there in a rally and the country's state news agency said he inaugurated a road and a girls' school there. In an address in which he frequently quoted verses from the Quran, Bashir, who is an Islamist, blamed the country's economic woes on international sanctions and enemies of Sudan who don't want it to progress. The petition the protesters wanted to submit at the palace demands that the general-turned-president hand over power to a "transitional government of technocrats with a mandate agreed upon by all segments of Sudanese society." "We are asserting that we will continue to exercise all popular and peaceful options, including general strike and civil disobedience, to bring down the regime," it warned. The march followed a joint statement late Monday by the United States, Britain, Norway and Canada, which said they were concerned by "credible reports" that Sudan's security forces have used live ammunition against demonstrators. 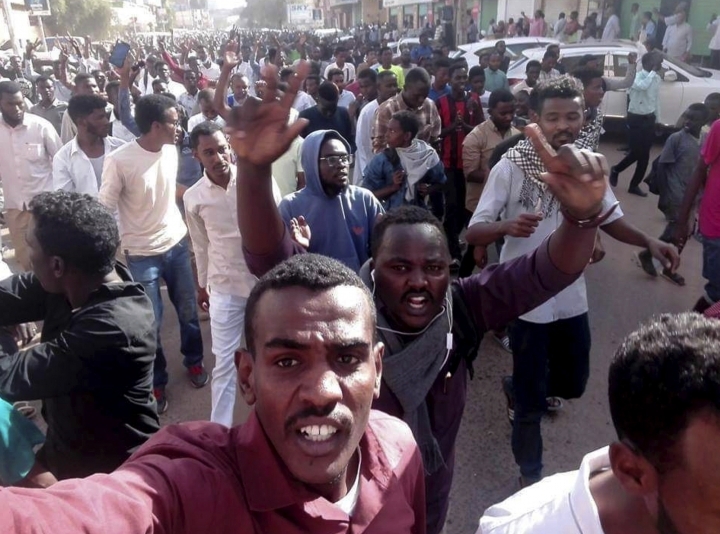 They urged all parties to avoid violence or the destruction of property while affirming the right of the Sudanese people to peacefully protest to express their "legitimate grievances." 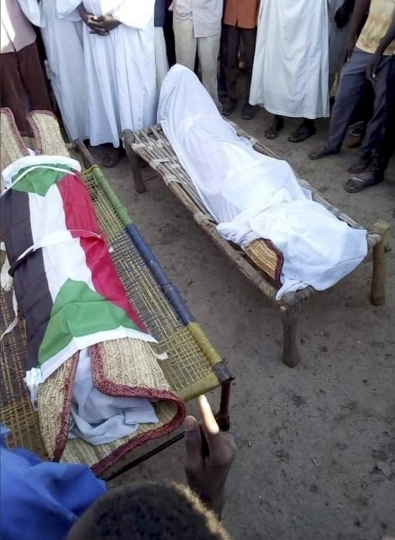 The London-based rights group Amnesty International meanwhile said it had "credible reports" that Sudanese police have killed 37 protesters in clashes during the anti-government demonstrations. 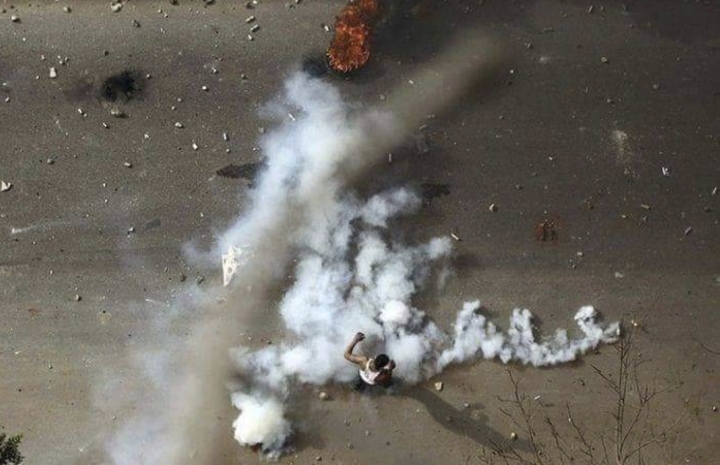 An opposition leader said over the weekend that 22 protesters were killed. The government has acknowledged fatalities without providing any figures. The military vowed Sunday to rally behind Bashir and emphasized in a statement that it was operating in harmony with the police and Sudan's feared security agencies. Also Monday, Bashir said his government would introduce measures to remedy the economy and "provide citizens with a dignified life." He also warned citizens against what he called "rumor mongers." The protests over the past week have been met with a heavy security crackdown, with authorities arresting more than a dozen opposition leaders, suspending school and university classes, and imposing emergency rule or nighttime curfews in several cities. There has also been a near-total news blackout on the protests and tighter than usual censorship of newspapers. Bashir, in his mid-70s, overthrew an elected but ineffective government when he seized power in 1989 in collaboration with Islamists. He is wanted by the International Criminal Court for committing crimes against humanity and genocide in the western Darfur region, where disgruntled ethnic African tribesmen revolted for a larger share of the nation's resources and an end to discrimination by the Arabized and mostly Muslim north. Sudan, a country of more than 40 million people, lost three quarters of its oil wealth when the mainly animist and Christian south seceded in 2011 after a long and ruinous civil war against the Khartoum government. More recently, a currency devaluation earlier this year caused prices to surge and a liquidity crunch forced the government to limit bank withdrawals, leading to long lines outside ATMs.